In the last few months, several friends have approached me, asking about alternatives to fluoroquinolones. Here are some of their stories. All their names have been changed, but the stories are true. Rick was prescribed Levaquin to treat a sinus infection. He read through the warning label and noted that two of the listed side-effects are tendon ruptures and seizures. Rick has a seizure disorder and had surgery on a tendon in his foot six months earlier. He refused the Levaquin prescription and asked for something else. He was prescribed Bactrim. The Bactrim cleared up his sinus infection. 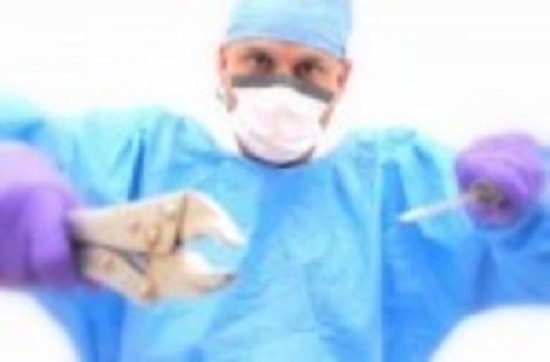 Question – What was that doctor thinking? Why would a doctor prescribe a drug that is well-documented as causing destruction of tendons to a patient who has a history of tendon problems? Rick told the doctor that he had surgery on his tendon in his foot. Did the doctor think that the tendon issues that are severe enough to lead to a black box warning on all fluoroquinolones was something to be dismissed and disregarded? And why would a doctor prescribe a drug that can cause seizures, along with a myriad of other central nervous system problems, to a person who has a pre-existing seizure disorder? It seems like a negligent decision – or at least a horribly uninformed decision. Unfortunately, the disregard of well established side-effects happens all the time. The contraindications for fluoroquinolones are routinely ignored and patients with pre-existing conditions are frequently prescribed fluoroquinolones for non-serious infections where other antibiotics would be sufficient. If Rick hadn’t read the warning label himself, and insisted on being prescribed a more benign antibiotic, he might have become one of the millions suffering from and adverse reaction to fluoroquinolones. Melissa’s 2-year old daughter suffered from ear infections. She was prescribed Cipro twice to treat the ear infections. Both times, Melissa refused the prescription for Cipro and was given something else. A more benign antibiotic, then tubes put in her daughter’s ears, cleared up the infections. Fluoroquinolones can cause irreversible damage to the cartilage of juvenile animals, and adult humans, so did Melissa’s daughter’s doctor think that somehow toddlers with ear infections were exempt from being damaged by Cipro? Melissa’s daughter could have been hurt. She could have been damaged by the Cipro. She could have developed permanently weakened tendons, lesions on her cartilage, destruction of her joints, etc. None of the damaging effects of fluoroquinolones are easy to treat, and their severe side-effects should not be the trade off when treating pediatric ear infections. Did that pediatrician completely forget his or her Hippocratic Oath? She must have, because Cipro could have done severe, irreversible, life-long harm to the toddler. Denise was eight months pregnant when she came down with an upper respiratory infection. Her doctor tried to prescribe her Cipro. She refused the Cipro and instead took Azithromycin. Azithromycin just happens to be the only antibiotic ever studied in pregnant women, at least partially. That is, there is one study showing basic pharmacokinetic or dosing information for its use during pregnancy. There are no data on the health and well-being of the offspring. Given the total lack of data for medication use during pregnancy, one has to wonder what that doctor was thinking prescribing Cipro, one of the most potent and dangerous antibiotics, to a pregnant woman. Why in the world would he prescribe a fluoroquinolone to a pregnant woman? In big, bold, capitalized words on the Cipro warning label, it is stated that, “THE SAFETY AND EFFECTIVENESS OF CIPROFLOXACIN IN PREGNANT AND LACTATING WOMEN HAVE NOT BEEN ESTABLISHED.” The warning label goes on to note that, “No differences in the rates of prematurity, spontaneous abortions, or birth weight were seen in women exposed to ciprofloxacin during pregnancy. However, these small post-marketing epidemiology studies, of which most experience is from short-term, first trimester exposure, are insufficient to evaluate the risk for less common defects or to permit reliable and definitive conclusions regarding the safety of ciprofloxacin in pregnant women and their developing fetuses.” Note that no research has ever been done to investigate the effects of fluorquinolones on fetal development and child development post pregnancy when used during the second or third trimesters. Differences in musculoskeletal development, cognitive development, mitochondrial and microbiome health, etc. of the children of women given Cipro while pregnant weren’t looked at in the first trimester studies that were done. Those are the things that should be examined – not just spontaneous abortions and low birth weights. Indeed, these effects should be looked into for all meds prescribed during pregnancy, as very few medications routinely prescribed to pregnant women have ever been tested. Most physicians know this, or should know this, but over the last few decades, have ignored it and prescription medication use during pregnancy has increased by 60%. Concurrently, the rates of chronic childhood disorders from autism and neurodevelopmental disorders, to obesity and Type 2 diabetes have increased significantly. Perhaps before we so cavalierly prescribe medications to pregnant women, we ought to investigate the long-term effects on their children. Violet and Cipro for Traveler’s Diarrhea? Violet was planning a trip to Ecuador. Her travel doctor wanted to give her Cipro just in case she got traveler’s diarrhea. Many other, less problematic antibiotics are available and equally effective in treatment of traveler’s diarrhea – doxycycline, Bactrim or sepra. She asked for a prescription for something other than Cipro. The appropriate situation for fluoroquinolones to be used is when they are needed to save a life and when a life-threatening infection doesn’t respond to other antibiotics. To prescribe fluoroquinolones in situations where life-threatening infections are not present is absurd and it is wrong. 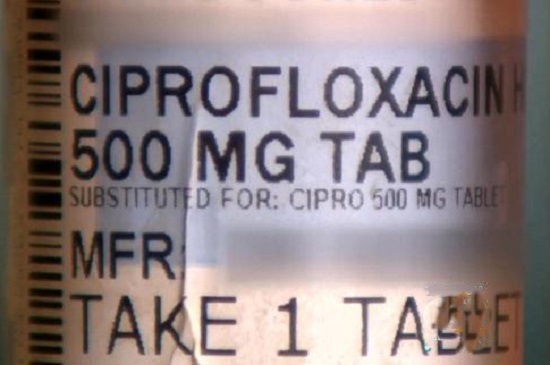 To prescribe fluoroquinolones prophylactically, when no infection is present, for treatment of traveler’s diarrhea, is to completely disregard all of the dangers of fluoroquinolones that are listed on the 43 PAGE warning label (for Cipro – the ones for levaquin, avelox and floxin are equally as bad). The adverse effects for the fluoroquinolones include: permanent peripheral neuropathy, tendon ruptures, Stevens-Johnson syndrome, hepatic failure, hallucinations, suicidal ideation, and more. Fluoroquinolones should not be prescribed frivolously. 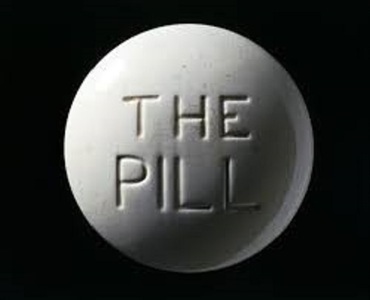 They should not be prescribed to anyone who is not in a life-threatening situation. The risk for adverse effects of these drugs are such that their use is not appropriate in situations that are not life-threatening and they certainly should not be used prophylactically for traveler’s diarrhea. To all the doctors who prescribe Cipro and other fluoroquinolones prophylactically to people for traveler’s diarrhea – What are you thinking? There is nothing that is okay about giving a drug to a healthy person that can injure them grievously. Even if the chances are low (but no one really knows the incidence of fluoroquinolone toxicity), the severity of the adverse effects of fluoroquinolones are so extreme that fluoroquinolones shouldn’t even be considered as a treatment until other antibiotics have been tried, and have failed. To all the doctors whose knowledge of the drugs that they prescribe I have questioned – please, please, please read some of the articles about how dangerous fluoroquinolones are. I have more than 100 peer reviewed articles listed HERE. Or, just read the warning labels and note that all of the horrible symptoms listed on the warning label can happen to your patients at once. You don’t want to do that to your patients. Please DON’T do that to your patients. Prescribe more benign antibiotics. They’re available. Use them first. Please. Hormones MatterTM is completely unfunded at this juncture and we rely entirely on crowdsourcing and volunteers to conduct the research and produce quality health education materials for the public. If you’d like help us improve healthcare with better data, get involved. Become an advocate, spread the word about our site, our research and our mission. Suggest a study. Share a study. Join our team. Write for us. Partner with us. Help us grow. This article was published originally on Hormones Matter on June 30, 2014. Hellooooo??? And you’re recommending Bactrim over quinolones?? 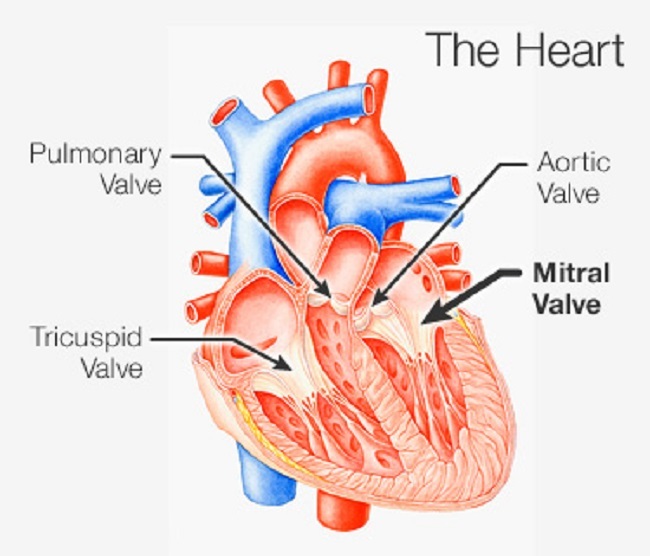 Bactrim which has a higher incidence of side effects? And stop misleading your readers with threatening false statements of doom and gloom. THere’s no “43 page warning”. It’s 43 pages of everything pertinent about Cipro including the molecular structure, mechanism of action, etc. Every drug has the same detailed pages not just Cipro. And practically every drug has in its listing of side effects “permanent peripheral neuropathy, tendon ruptures, Stevens-Johnson syndrome, hepatic failure, hallucinations, suicidal ideation, and more”. It’s not unique to quinolones. So stop with your fear mongering! lisa thank you so much for starting this site for those of us that have been Floxed…I have got some really good advice from all the stories….Good Karma will come the rest of your life….